After a long day exploring and walking around Oia we decided to visit Pelekanos after being told about the restaurant from one of the local shop owners. We did not book and arrived late. We had to wait for a few minutes to get our table. It is true what they say 360° views of Oia. We did arrive in time to sit and see the sunset, which is spectacular. Depending on the table you get will determine how good your view is. If you want the best table, it is best to reserve one early. If you do not reserve one, do not complain about the view you have. Our waitress was fantastic, she was from Australia which was great as we are Australians. Our meals were fantastic well cooked and full of flavour. I had a seafood linguine, shrimps and mussels. The mussels were excellent to be fair and they did signal in the menu that the shrimps were frozen. I was a little disappointed that the shrimp were frozen. . We also ordered the Greek salad and it was fresh and enjoyable. My wife had fish and it looked fantastic and presented very well. The flavors on all the meals were exquisite. 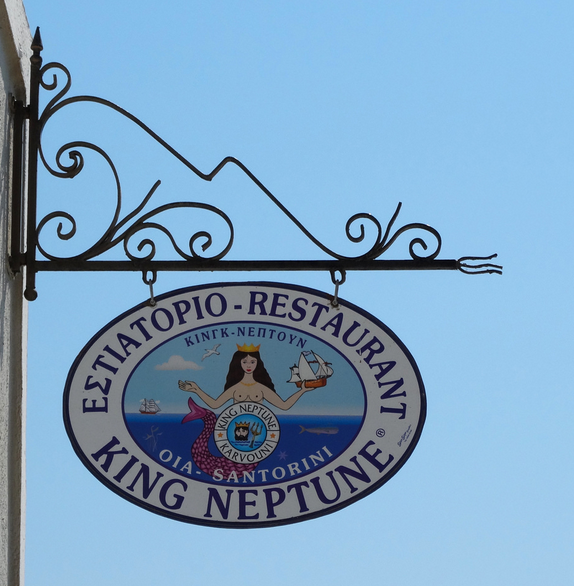 We complimented our meal with a Santorini wine recommended by the staff. It was fantastic. Would we go again when we are in Santorini of course. 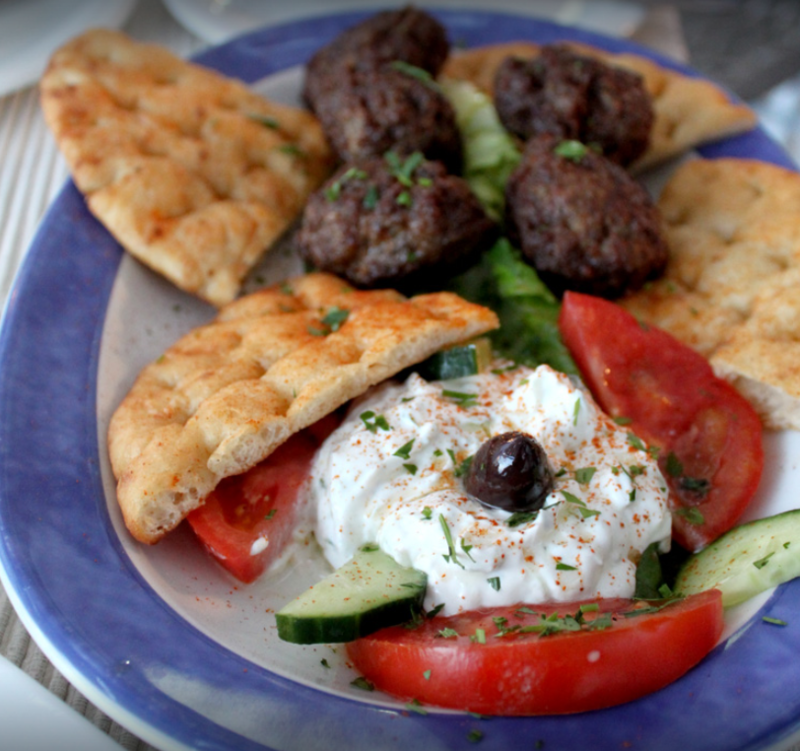 I would also recommend this restaurant to everyone that visits Oia. Our hotel told us to try this restaurant and we had heard from the hotel that this is one of the best restaurants in Ammoudi. To arrive at the restaurant you have 2 options. Either walk down the stairs from Oia I reckon over 500 steps or drive down to Ammoudi. AS we were on our honeymoon, we opted to walk down for lunch. We did not book or anything and we arrived just in time to be seated at a table that was on the corner and out of the way. Where the restaurant is positioned, people have to walk through to get the 2nd restaurant or to walk through to get to the other side. To get to our seat we had to walk past the outdoor cooking BBQ. The smell of the seafood cooking was amazing. Our table was on the edge of the harbor wall. The staff were amazing and so far in Oia the hospitality was fantastic. Being at a seafood restaurant we both ate seafood. The grilled octopus was amazing. This is a must do restaurant. Our advice is to book early if you want a table for the sunset viewing. Something to remember after your meal you have to walk back up those stairs if you are afraid of riding on a donkey. My wife vowed to never ride a donkey, but her mind changed after lunch and she hoped on a donkey and we rode back up to Oia. Another must do experience. After another day exploring Oia we decided to head back into Oia and find another restaurant to have dinner. After walking around we decided to try Petros. 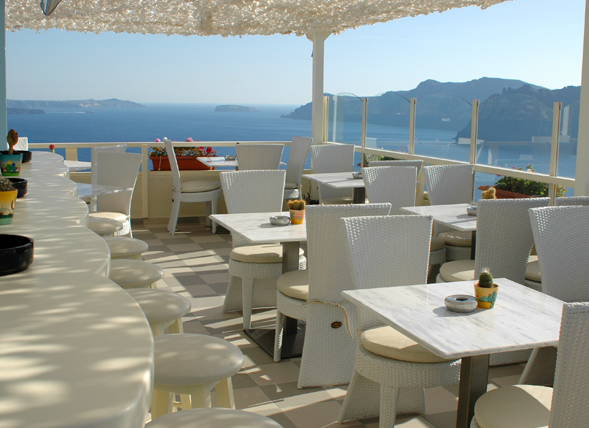 They were busy and we managed to get a table on the edge looking out over Oia to the sea. The only disappointing thing was that down below were cats roaming around. Aside from that the evening was amazing. Our waiter was attentive and provided us with all the information we needed for our dinner. We ordered Santorini wine and placed our order. For a starter we decided to have some bread and the variety of Greek olives. We did not want a big starter as we ordered the Petros mix fish for two. When the waiter took our order, he only wrote down the seafood for two. Both the seafood for two meals were the same except for a whole fish. Considering how busy they were our meal came out rather quick. As we were getting through the seafood, I called our waiter over and asked about the whole fish. He had made a mistake and had not ordered the right platter. He called who I assume was one of the owners over and I explained what happened. She was fantastic, got the fish ordered, and out to us quickly. All the seafood cooked well and the fish came out almost completely de-boned, which made it easy to eat. I was relieved that the fish came out later as it meant that all our seafood was still hot and enjoyable. After our meal and our wine the owner came down with some freshly made Greek yogurt, Greek sweet and a shot of ouzo to follow. This hospitality was out of this world and much appreciated. You should try this restaurant out if you can. You won’t regret it. Another night and another seafood meal watching the world famous Santorini Sunset. This time we were seated looking out to the sunset with a Greek church in our view. However, this was not a problem it actually enhanced the sunset. Just below the restaurant was the little square with street performers, which provided the entertainment for the night. We had grilled octopus and we would highly recommend this. You cannot look past the seafood and we would recommend anything that was on the menu. Every meal that came out made our mouth water and we could not wait until we received our meals. The wait staff were all friendly and great to deal with. When the sun finally set and the cool air started coming up they came round and asked if anyone needed a blanket. . If you are looking for a romantic place for dinner then this is the place to be. Book early to get a good table to view the sunset. This is a very casual restaurant and we decided to try it for lunch. 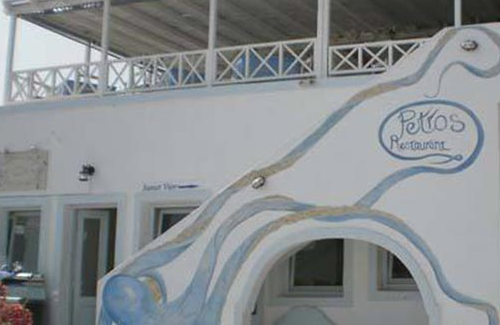 It looked like a very traditional Taverna with a good location. It was busy as it was during the day and everyone is out and about exploring. We have included this in the top 5 restaurants as we believe it is more of a casual low key place to eat. Still the standards were high and we enjoyed our meals here. The décor was plain yet very Greek. We investigated every restaurant we visited and to say that some of the reviews on other websites painted this place very differently to the experience that we had. Yes the service was slow, but we were on holiday and we were in rush. Our drinks came out as quick as we ordered them and the cocktail my wife had was fantastic. I just chose a local beer to enjoy. On these hot days a nice cold beer always goes down well. Our meals did not take long to come out, the presentation was great, and ingredients looked fresh. These places are small and they try and pack lots of people in so if you are there for a quick meal I would suggest going somewhere else as everything is cooked fresh here and to perfection.